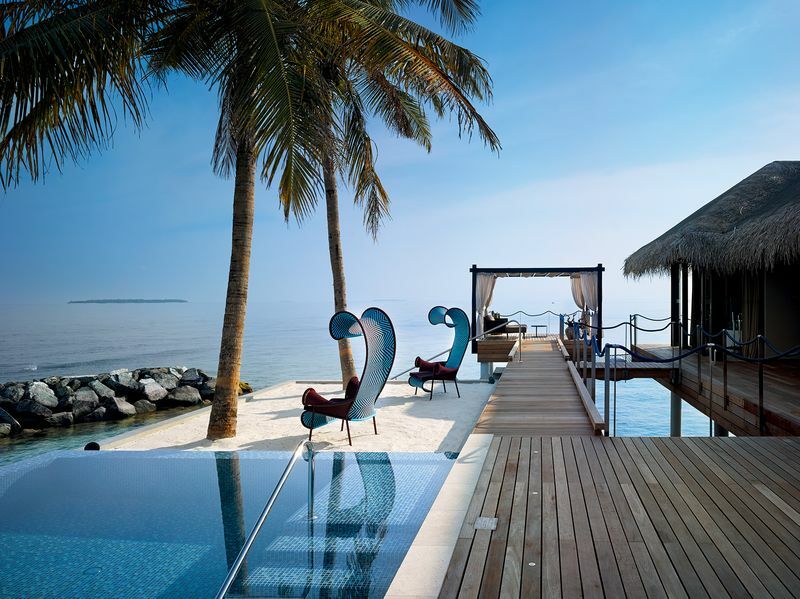 Velaa Private Island is the realization of a dream to create a ‘beyond luxury’ ultra-exclusive boutique hideaway. This unique destination was developed to embody the very best of this unique archipelago, bathed by azure skies in the aquamarine waters of the Indian Ocean. 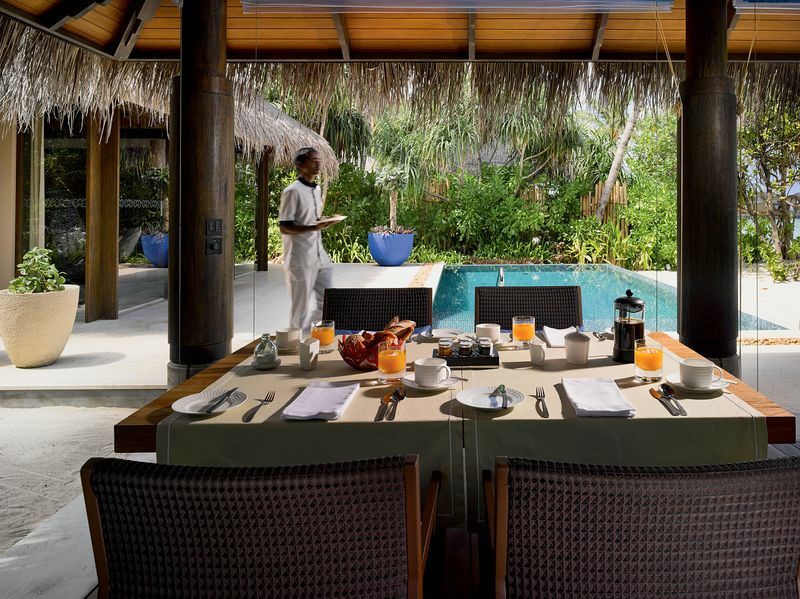 The name of this private retreat, an elegant fusion of Maldivian culture with contemporary luxury, means “Turtle Island” in the local language – named after generations of sea turtles that have flocked here to nest and hatch. The resort design borrows from this theme, with turtle motifs, and the colors and patterns of turtle shell pervading the property. From a broader “bird’s eye view” which greets arrivals by seaplane, the island’s exclusive over-water villas are also constructed to resemble the head of a turtle, with the island forming the body. Velaa Private Island also ensures plenty of room for its marine visitors, with a hatchery and conservation plan in place. Velaa Private Island is just under 20 hectares in size, around half a kilometre in either direction, providing both exclusivity and privacy. 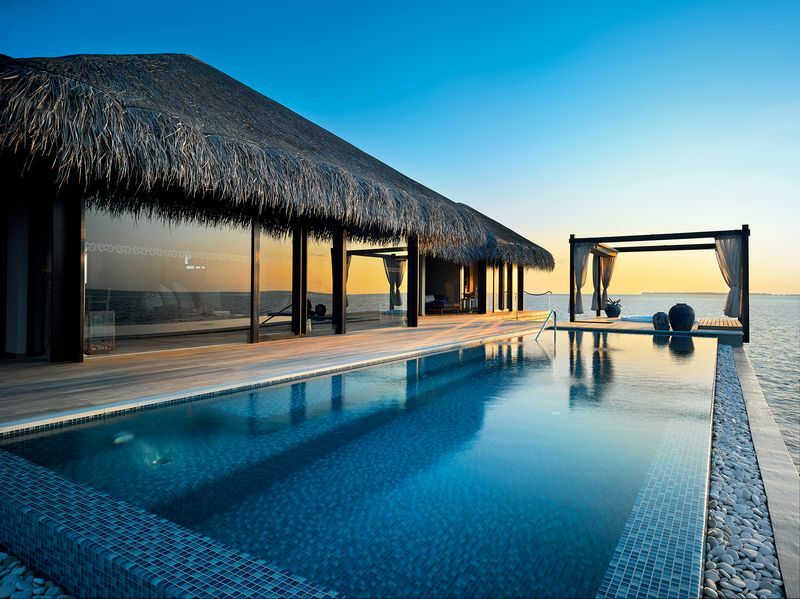 Velaa Private Island has been designed and curated with privacy and comfort as the guiding principles while allowing the Indian Ocean to take centre stage. At one with nature, each of the private retreats is built using local materials, combining contemporary flourishes with interiors designed for sensory exploration. Generous terraces and sultry gazebos are positioned to maximise shade, breeze, views and privacy, allowing for total immersion in nature. 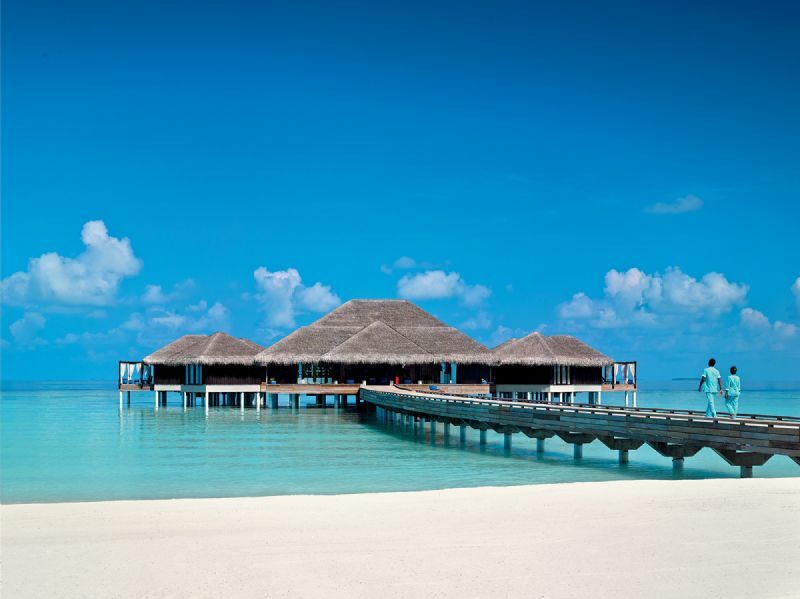 The Maldives’ answer to a Butler is your answer to special requests and private moments. Planning a special dinner or an island excursion? Let our Butlers take away all your worries as they plan your ultimate dream holiday like no other. Your personal Butler’s name is saved in your villa phone, and in their absence a partner Butler will always be available. 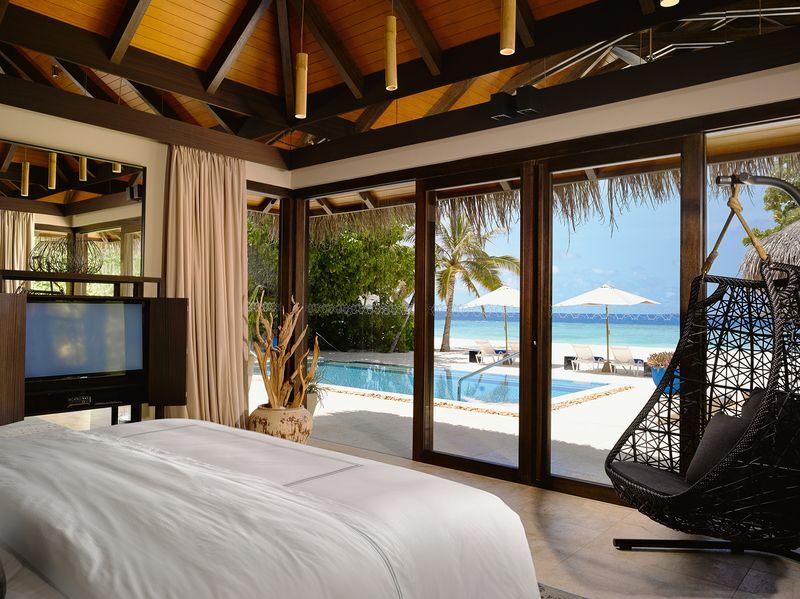 The resort comprises 43 private villas, houses and residences and 4 four-bedroom residences. While 18 of the 43 are built over water, the Romantic Pool Residence can only be reached by boat, allowing even more privacy and exclusivity. 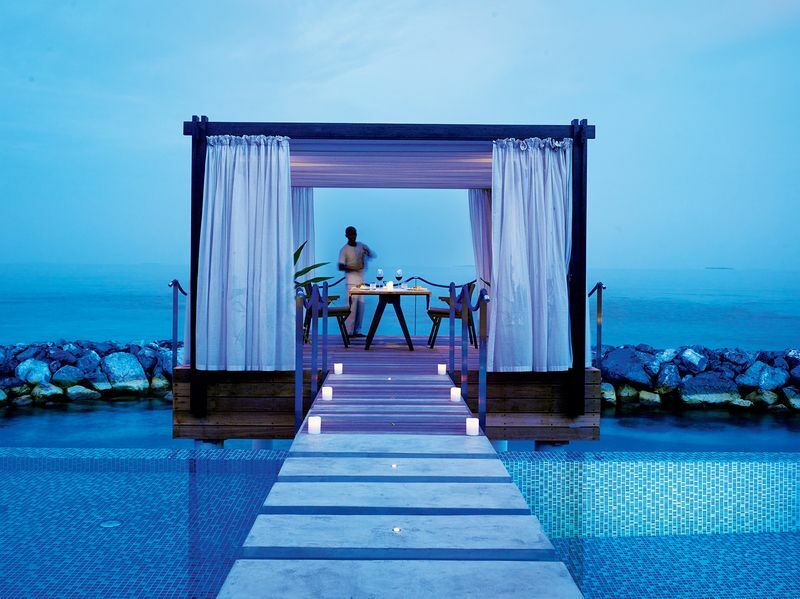 For the epicurean, Velaa Private Island boasts an extraordinary culinary experience with venues that are unrivalled throughout the Maldives and an extensive wine cellar with an exclusive wine selection from around the globe. With three restaurants, two bars and a wine cellar, Velaa Private Island offers an unforgettable culinary journey to its guests. Designed by Jose Maria Olazabal, renowned for his short game prowess, and managed by Troon, the leader in upscale golf course management, development and marketing, Velaa Golf Academy by Olazabal is a golfing experience like no other, designed to create bespoke memories whatever your wishes. Want to rip a driver? Practise with our state-ofthe-art simulator. Introduce the family to the game? Try our putting green and tailored made tuition programmes. Perfect the lob wedge? Get one-on-one tuition with all the latest technology to give feedback the way you want it. Hone your swing? Try our swing studio equipped with the most up-to-date technology to enhance your learning experience. Water Sports Seadoo Scooters are available for hire to access the island’s coral reef for the best snorkeling. Windsurfing offers seven different board size options and 10 sail configurations for all conditions and experience from training for complete novices to the most advanced setup for experts. Sailing features a Topcat K1 Catamaran and New Zealand-designed Weta High Performance Trimaran easily operated by one or two. Kite Surfing is with F1 Kites - by far the best in the world - taking this action packed sport to all levels, from downwind runs to private lessons..
Kayaks are available in 3 different, fun options: for one, two or 3-4 persons. Stand Up Paddle Boards are increasingly popular, to explore the beautiful waters around Velaa Private Island and keep fit at the same time! Jet Skis are Yamaha VX 1100 Cruisers, designed for both experienced riders to enjoy great on-water performance, and beginners to ride at reduced power, for safety and comfort. Seabobs are the latest and greatest watersports trend, for cruising effortlessly on top or just under the surface like a dolphin. Our AG21 Sports Boat is new to Yamaha’s range, designed for water sports of all types with unique features such as its low centre of gravity and ability to increase wake size by filling on board tanks. For all levels, styles and ages are Water-skiing, Wakeboarding and Knee Boarding with fun inflatable activities such as Tubes, Bananas and the new Ski Seat experience.